alligators in your back yard, an ominous black sky before a summer frog-strangler, or iridescent blue green water under miles of oversea highway. There is a lot to like and respect about the earlier residents and their struggles (with no AC), or the kitschy landscape that evolved from them. But I’ve been here along time and gone through some of the normal life changes, marriage, kids, divorce, death in the family. I guess it shouldn’t come as a surprise that the place has grown on me. I’ve slept on the beach in a youthful drunken stupor, helicoptered over manta rays and lakes filled with gators, walked into cobwebs and orb spiders, waited countless times for the “green flash” at sunset (it’s a myth), swum in lakes that I probably shouldn’t have, and come to terms with the oppressive summer heat. Normal stuff. But I will miss the gators. 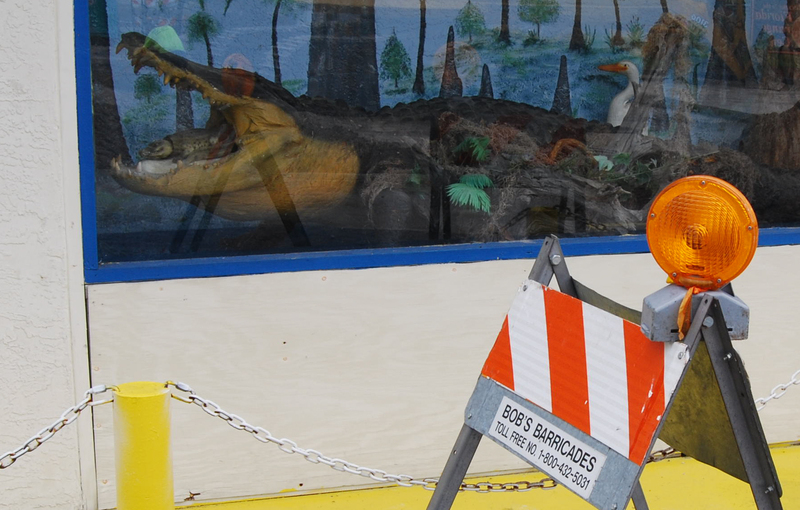 This entry was posted in Before the Move, Florida and tagged alligators, before the move, Florida on March 31, 2015 by smedleyman.